Closing the Loop (CTL) adds circularity to mobile phone usage. When a new phone is purchased, a broken phone gets collected & recycled, on a ‘One for One’ basis. As with CO2 offsetting, a fee is paid to fund the collection. Reuse of mobile phones has grown rapidly in recent years. Most phones are shipped to emerging markets for their second life. 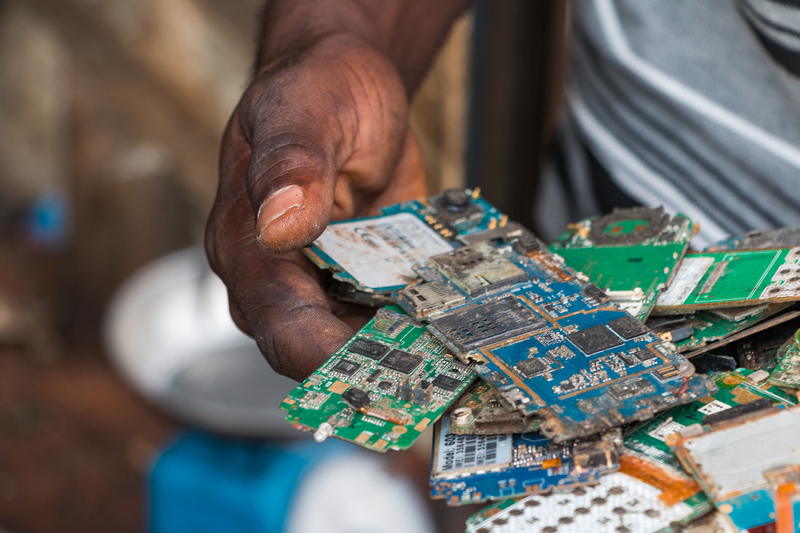 As these markets lack proper recycling facilities, one could argue that reuse leads to more e-waste in developing regions. To tackle this issue, CTL adds a service to reuse. By taking out – and recycling – the same quantity of dead phones from Asia and Africa, as the number of devices being shipped to these regions, CTL can make its customers’ reuse policy waste-free. The service is being offered by international partners such as Sims Recycling Solutions and Infotheek. A circular service that is gaining traction fast is CTL’s ‘material offsetting’. Similar to carbon offsetting, it allows for the offset of a footprint, but in this case, it’s the material footprint. Put simply: when a new phone is purchased, a broken phone gets collected & recycled, on a ‘One for One’ basis. As with CO2 offsetting, a fee is paid to fund the collection. The result: new phones become material neutral. CTL thus puts circularity into practice for its customers. The service is being offered by international partners such as A.S. Watson and Renewd. In June 2018 seven Dutch provinces decided to launch the world’s first ‘circular tender’, for phones. The result of this Green Public Procurement innovation: the negative footprints of their devices (the waste they generate and the material scarcity they add to) will be compensated for by collecting scrap phones in Africa as ‘offsets’, in cooperation with Closing the Loop. 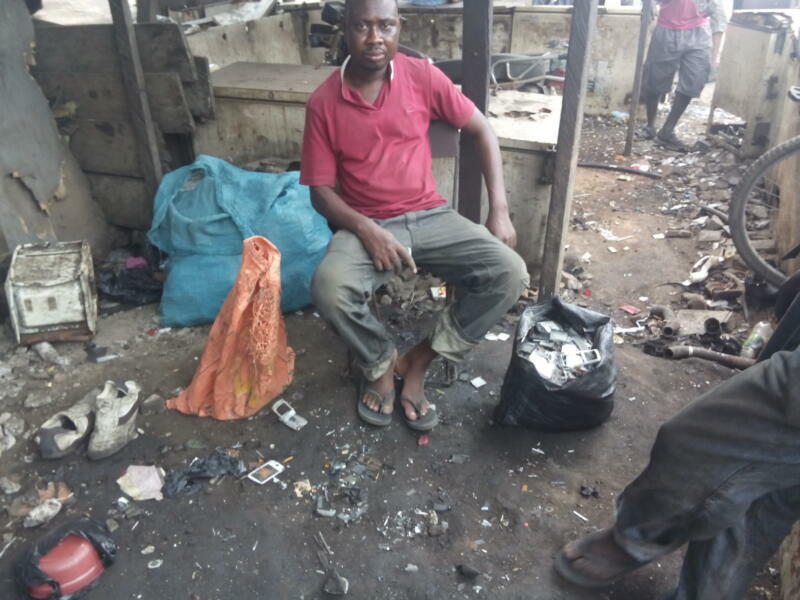 Closing the Loop has provided around 4000 people with extra income, in developing countries and saved over 50 tons of electronic waste – some two million phones – ‘from the garbage dump’. They have helped clients such as Fairphone, ING, KPMG, Schiphol and the municipality of Amsterdam to make their telecoms policy more sustainable. CTL wants to make the telecom industry waste-free. It believes emerging markets offer the biggest chance of success and highest (social) return on investment, when it comes to circular business. That’s why it invests in local collection and recycling in countries such as Ghana, which will also lead to more availability of urban mined materials. And as far as CTL is concerned, urban mining is the circular future.